Noel Kerns is an American time traveler. 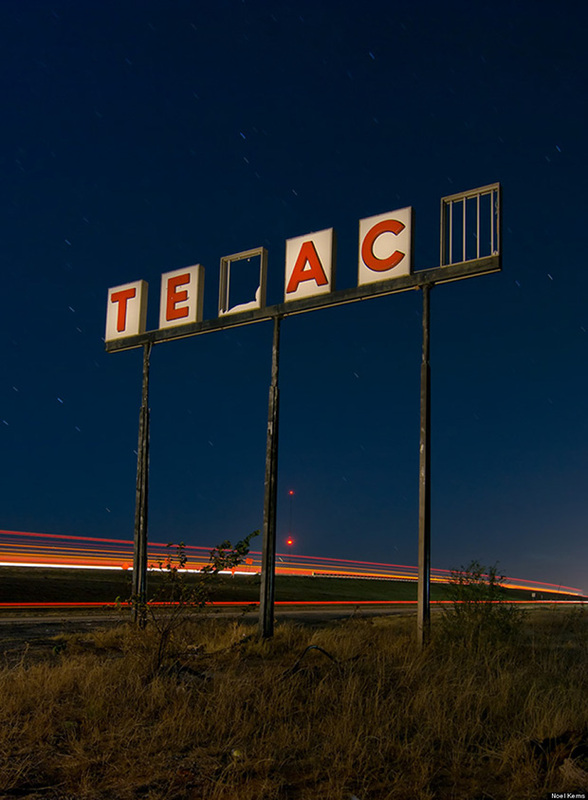 His camera has taken him on road trips across Texas, down Route 66, and through the ghost towns of the American West. He’s found these bygone patches of the United States under the light of the full moon, synching his trips with the calendar of lunar phases. Because Kerns’s subjects are, for the most part, utterly deserted, he frequently finds himself in almost total darkness, making his way through unstable structures. 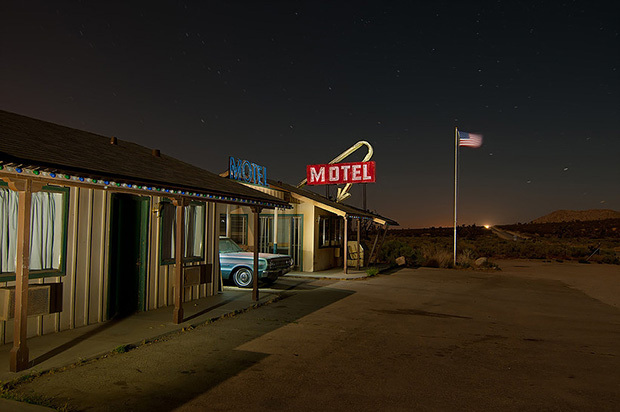 For this reason, the photographer brings with him his own sources of illumination— strobes, flashlights, and other artificial lights with colored gels. In conversation with Slate in 2014, the artist admitted that some of the places his visited were in fact not open to the public. He could well be breaking trespassing laws, but for the most part, people don’t bother him. 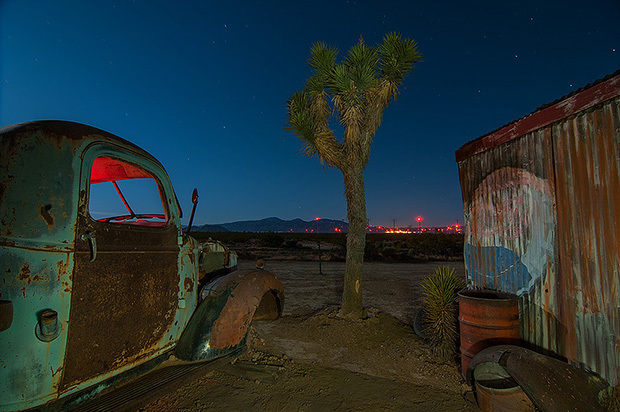 The roads and towns are too empty for anyone to take notice, and he can take time to light the scene, set up his tripod, and capture long exposures of the silent night. 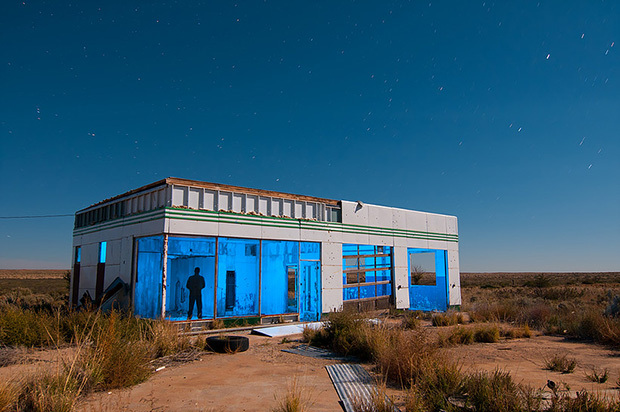 In the introduction to his 2012 book Nightwatch: Painting with Light, Kerns tells the tale of his first foray into an abandoned building: an old house, long since deserted, in a field in Austin, Texas. He was thirteen, and after many days of imagining, he finally stepped across the threshold and into the unknowable interior, where he found the remnants of the last family to live within. It was the 1970s. 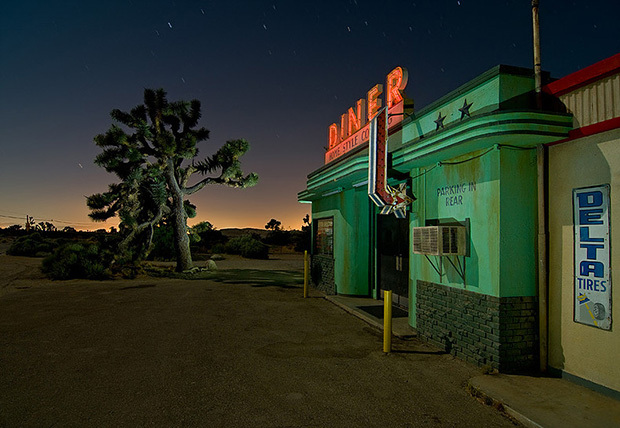 The date of his early obsession with forgotten places seems significant, especially given the photographs he later took on the road decades later. 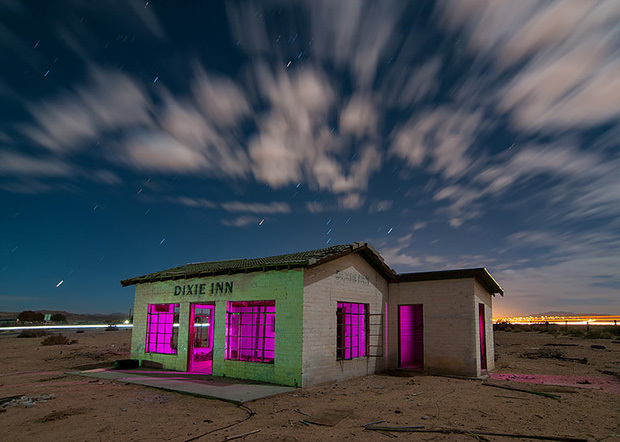 It was an uncertain time the future of motels, right in between their heyday in the 1950s and 1960s and their precipitous decline in the 1980s. 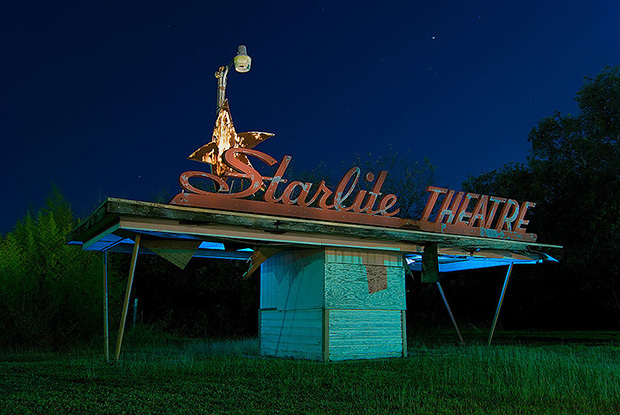 Kerns’s book includes some sites that were torn down shortly after they were photographed, but his affection for these places keeps a tiny piece of each one of them alive. It’s easy to say Kerns’s pictures move backwards in time, but perhaps it’s more complicated than that. These structures and roads are old, but his distinctive use of light allows them to exist in a surreal and futuristic space. They’re photographs of things from the past, but at their core, they seem to occupy a place and a time that never happened at all. 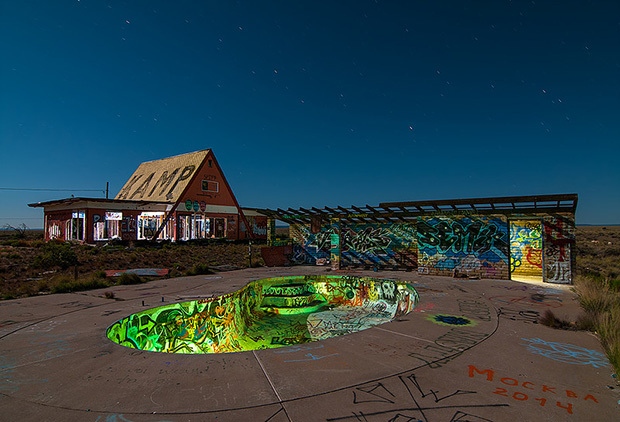 Find Nightwatch: Painting with Light here.